Happy Saturday, Friends! I hope you've all had a wonderful Holiday thus far. Today I'm sharing with you a very easy background that you can quickly add to your tags, cards, or other projects if you're in a hurry. 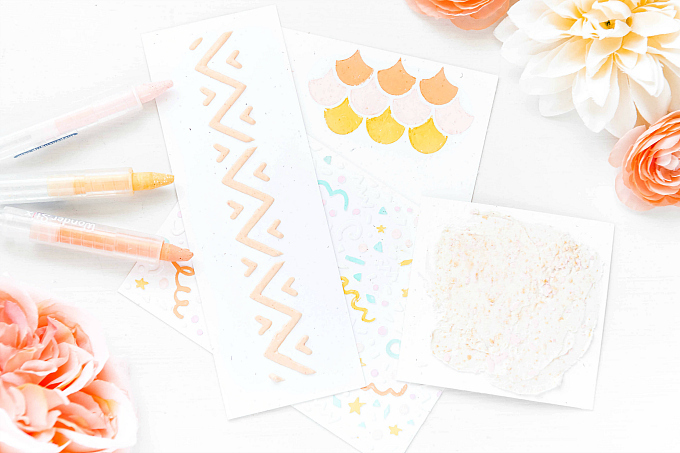 By using stencils you have on hand, along with a few fun marker colors, it takes no time at all to add a little bit of extra fun to your projects! Using a lined stencil, such as the one here, is a quick and easy way to add color with markers. The openings are smaller, so there is less room for error, and coloring is a lot easier when you don't have to cover large surfaces! Just swipe your marker across a few times, and voila! Don't have a stencil? No problem! Simply use a ruler and draw the lines. 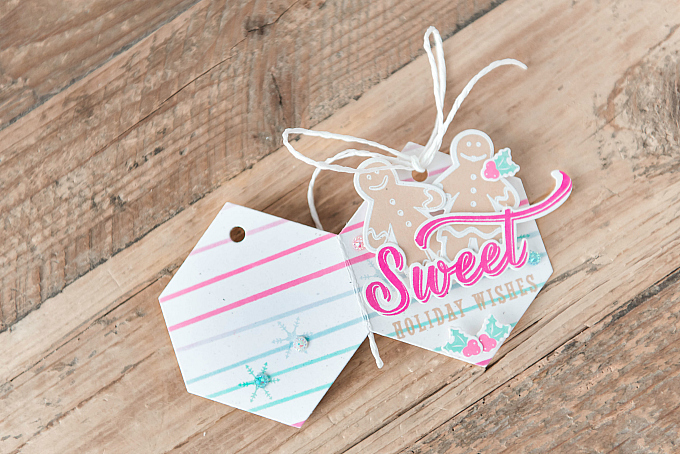 Once I had my tag all stenciled up, I added some string through the top, and a couple of ginger-bread people, embossed and stamped. 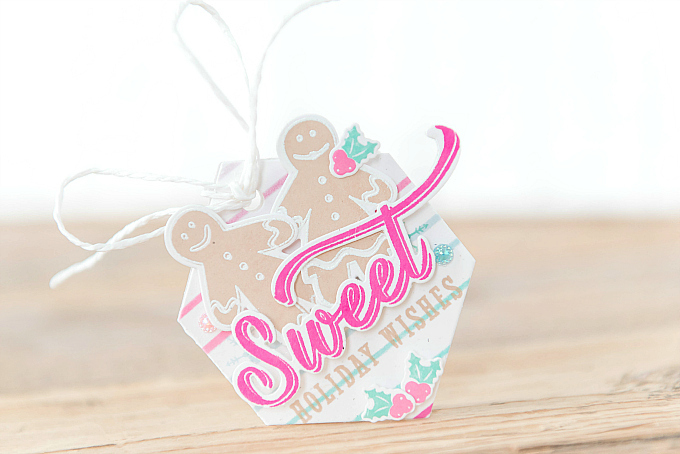 I also added a large sentiment, stamped and die cut with PTI's Sweet Holiday Wishes in colors of Raspberry Fizz and Classic Kraft. The tiny holly is also from this set. Need to add a background that's super easy, grab a marker and a stencil or ruler and give this a try! Thanks for your visits friends! Wishing you all a sweet day! For your convenience, I've compiled a list featuring products used in the project(s) above. By using affiliate links when you shop, you will be helping to support this blog and exciting new content. Simply click below to go directly to the products, and in doing so, when you shop, I earn a small comission - at no extra cost to you! Yay to a double win! What an adorable tag! 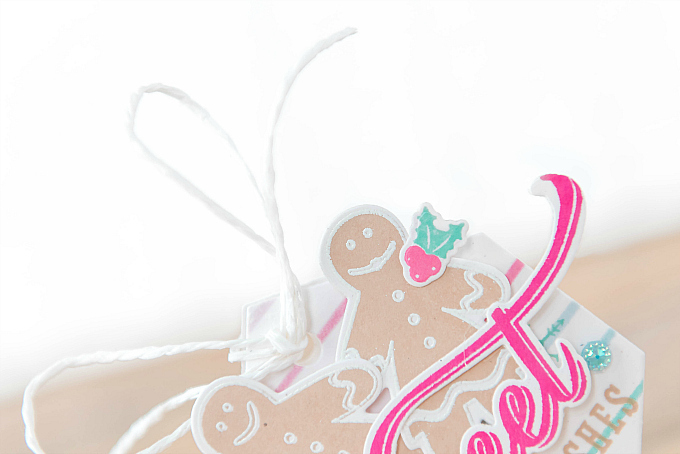 Your gingerbread couple look darling surrounded by the non-traditional colors. Very sweet Ivana! Thanks so much, sweet crafty friend! It's so fun to switch up colors now and again! Oh so cute, Ivana! I've never used a marker with my stencils, but will have to give it a try!